The Immigration Plan for the year 2017 targets new immigrants which is increased by 23 percent. Target number of newcomers through Federal Skilled Worker Class, Federal Skilled Trades Class, and Canadian Experience Class increases by 23 percent. Government aims for 51,000 new immigrants to come through the Provincial Nominee Programs for the year 2017. Quebec aims to welcome more than 29,000 through economic programs, including the Quebec Skilled Worker Program. Economic immigration to make up a larger share of overall immigration than in 2016. More spouses, partners, children, parents and grandparents to arrive through Family Class sponsorship programs. Canada is a country composed of immigrants migrated from every country in the world to Canada. Canada's success is largely due to the contributions made by the new immigrants. Every year, thousands of new immigrants come in search of a better life for them seek Canada Immigration as a means to achieve their goals and dream to live in a new country. The United Nations consistently ranking Canada as one of the best places to live in the World, so why wait to migrate to Canada, with the help of Bilimoria & Associate moving to Canada is possible. The diversified backgrounds and cultures are what make Canada unique. Canada is one of the world’s best immigration destinations for new arrivals coming under the Canada immigration system every year. Immigrating to Canada is a significant step in the lives of those who pursue to make a new life in Canada. Bilimoria & Associate are Immigration Consultants and specialist in visa processing in Chennai has been providing Immigration services for Canada to many people every year from different parts of the country. 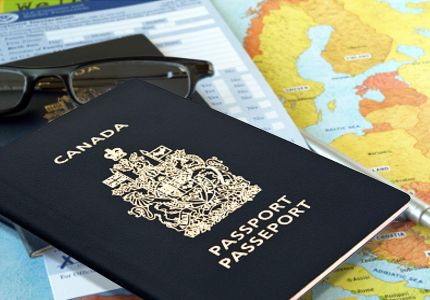 As an Immigration Consultant Bilimoria & Associate offers the clients full range of immigration services that suits the requirement towards obtaining their visas for Canada. Canada approves over 320000 skilled migration visas every year. The lowered pass mark means that more people can move to Canada under the skilled worker immigration programme. Deciding to immigrate to Canada is a significant step for those who pursue their dreams. The Canada immigration visa section of our website has been created to help you to with seeking to live and work in Canada. Canadian immigration lawyer can play an important role in obtaining your Canadian visa and starting a new life. According to Canada Immigration Law, "Permanent Residents" are individuals who intend to reside in Canada on a permanent basis.